Alan Shapiro is a Vancouver-based environmental professional and science communicator with a particular interest in engaging the public and policymakers on water issues. He is co-founder and director of Science Slam Canada – a Canada-wide non-profit organization focused on science communication and outreach. Alan also teaches geography at Kwantlen Polytechnic University, serves on the Youth Advisory Board for Waterlution, and consults on a range of water resources projects. Alan holds a MSc in Environmental Engineering from Columbia University and a BSc in environmental Earth Science from the University of Alberta. After a near–fatal car accident, interdisciplinary artist Angela Fama has focussed her praxis on seeking unity through breaking down barriers surrounding “sticky” subjects. Recently, curiosity drove her to ask: What Is Love, a project in which she drove across North America in an RV/pop-up photo studio, individually interviewing over 300 passers-by. This investigation of love took her curiosity again to her greatest fear: death. Love and death are so interconnected it’s hard to see how love can exist without the presence of death so... Fama took it upon herself to start investigating the sticky subject of death and surprisingly, she found more joy and serenity in that quest than expected. Born in Manila, Philippines and raised in Canada, Char Loro is a creative producer, curator and master of ceremonies for live music and street dance events, immersive art experiences, and video production. She is very passionate about bringing people together to activate urban public spaces and create accessible platforms for street dancers and music artists to share their artistry with the general public. Char founded ShapeShifterStudio, a creative production company that collaborates with artists of various mediums; transforming spaces, designing interactive experiences, through live music and street dance events, as well as producing creative dance videos. Chloe Kwok is an Illustration student attending Emily Carr University of Art and Design. As a client of tattoo artists, she is passionate about widening the publics views of this controversial medium. In diving into the world of mark making, she experiences the present day effects that tattooing has had on her asian heritage. Through personal experiences, Chloe’s perspective is living proof that the effects of this taboo are still felt to this day. In sharing her story, she reaches out to those struggling to create a language of empathy with their family, hoping to reach a middle ground with them and the tattoo industry. Claudia Hopkins is an Interaction Design student at Emily Carr University of Art + Design. Her design interests span from inclusive design to designing for public service. Within her practice, she is dedicated to user research. She has worked in many areas across health care as a designer, communicator, and as a clinical researcher. Emma Chin is currently a Design student at Emily Carr University. Since embarking on an education in Art, she realized that there are many different ways to quantify learning. The belief that learning can be assessed in many different ways is an extension of her personal experience as a child in Montessori school. Emma is passionate in finding ways that can help every kind of learner to succeed. 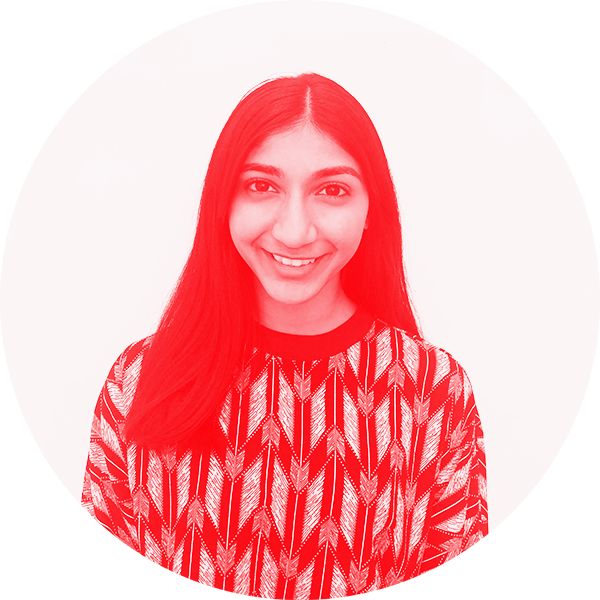 Janani Ramesh is an interaction design student at Emily Carr University of Art + Design. Having lived in India, the Netherlands and China over the past 21 years, Janani puts a lot of care and effort into understanding multicultural contexts and how they shape us. She takes pride in incorporating her cultural background in her writing and designing practice. With the ability to speak 5 languages—English, Tamil, Hindi, Dutch and Mandarin—she empathizes with those who feel the need to express themselves through the power of language, whether it be through speech or gestures. PoChun Chen is a Taiwanese independent filmmaker, photographer, and film student at Emily Carr University of Art + Design. Her works include narrative short films, experimental, and fashion filmmaking for European and local brands. Aside from narrative filmmaking, she has an interest in environmental preservation, waste reduction, recycling, and human activity, and how to link artistic practices with an environmentally-conscious mindset. With the belief that media is the strongest and most influential means to educate, she hopes that through her practice, she can spread the goal of caring for the environment through film and photography. Born and raised in India, Mukhopadhyay graduated with a degree in fashion and worked in the e- commerce industry for 6 years. During her time there, in 2014, India felt the full-boom of electronic commerce. Mukhopadhyay found herself asking which side of technology did her work reside? One that organizes information for its own short-term benefits or one that liberates. Back in design school, her work, now questions social acceptance and affordances in design and their implications in the face of globalization. Her research interest lies in designing a platform for geographically displaced immigrants to network and share culturally relevant knowledge to better integrate into society. Mukhopadhyay is presently co-designing this platform in collaboration with PICS, Surrey. Srushti Kulkarni is an Industrial Designer currently pursuing her MDes at the Emily Carr University of Art+Design with a particular interest in healthcare design. Having worked in India, on designing an emergency watch for senior citizens for two years, she has always been intrigued by the manner in which smart technology is persistently helping the older adult in advancing at the same pace as the evolution of technology.